A Tuesday holiday was a boon for most florists — and for many Society of American Florists members, the gains this year were significant. 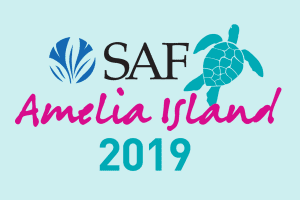 About 88 percent of respondents to an SAF post-holiday survey experienced an increase in Valentine’s Day sales this year, compared to 2016, when the holiday fell on a challenging date, the Sunday of a long weekend. About 7 percent of respondents said sales remained about the same this year; the rest saw a decrease. 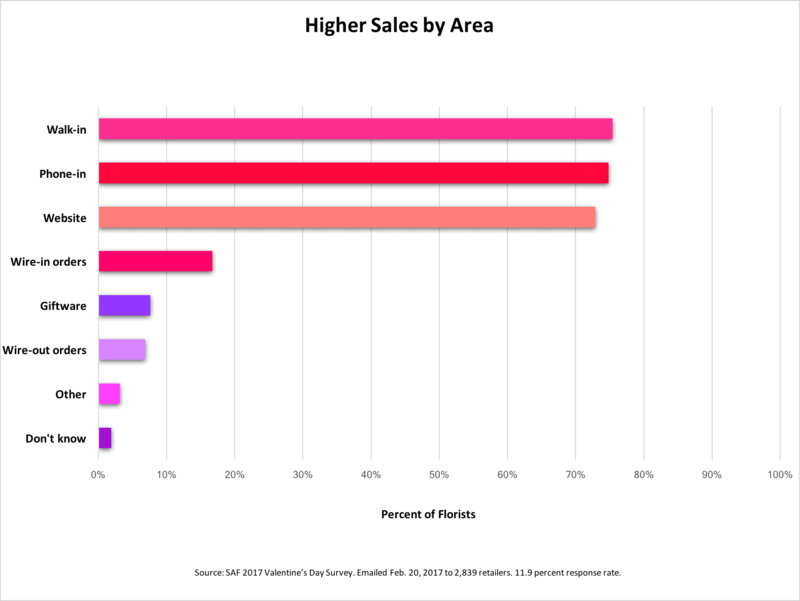 Those results were fairly consistent across business size, with respondents who have $1 million-plus in sales even more likely to report an increase (96 percent). Among those who saw an increase, 34 percent said sales rose by more than 21 percent. 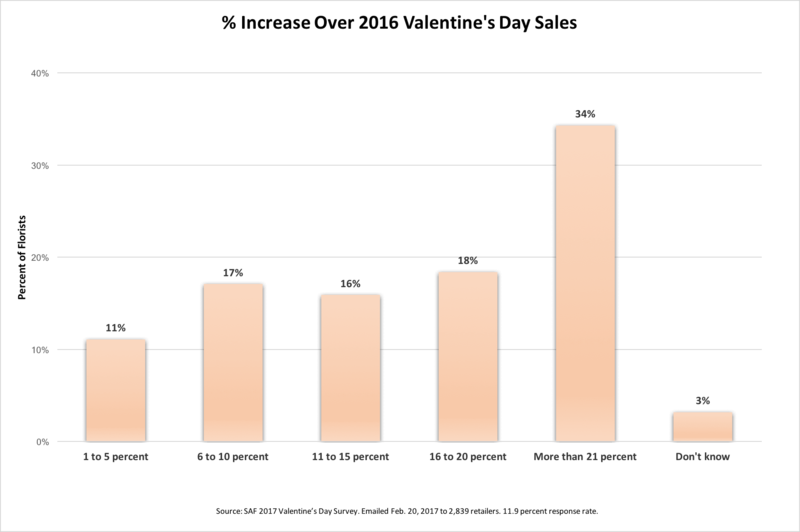 What’s more, nearly half of all respondents said sales this year were higher than those in 2012, when Valentine’s Day last fell on a Tuesday. Ninety-five percent of respondents who saw an increase attributed the positive returns at least in part to the day of the week. Weather may also have played a factor: About 47 percent credited favorable conditions. Source: SAF 2017 Valentine’s Day Survey. Emailed Feb. 20, 2017 to 2,839 retailers. 11.9 percent response rate. 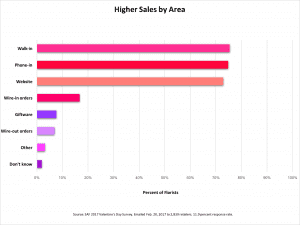 In addition to sales-busting storms, many of those who saw a decrease blamed competition from mass marketers/supermarkets (29 percent); other florists (26 percent); order gatherers (23 percent); non-floral vendors (10 percent); and street vendors (6 percent). They also said their regional economy (19 percent) played a factor. 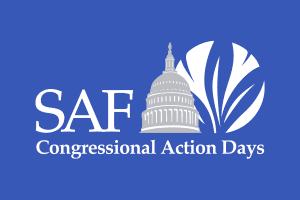 Indeed, in several write-in responses, florists cited local and national economic issues. In Kentucky, another respondent said the shop felt confident enough moving into the holiday to nudge up prices. 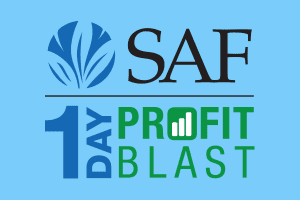 Read more for granular info on holiday sales from the SAF member survey — along with feedback from some national companies on sales results. In addition to the 34 percent of respondents who said sales rose by more than 21 percent, about 18 percent said the increase was between 16 and 20 percent. Seventeen percent pinned their uptick at 6 to 10 percent; 16 percent said it was from 11 to 15 percent and 11 percent said it was from 1 to 5 percent. Increases seemed to come in across ordering channels: 75 percent of respondents saw higher walk-in sales; 75 percent reported higher phone sales and 73 percent saw increased web sales. In addition, about 7 percent reported increased wire-out orders and 18 percent reported increased wire-ins. Among those who saw decreased sales, about 33 percent weren’t sure of the decline amount. Twenty percent said their drop-off fell within the 6- to 10-percent range, and 17 percent said sales dropped by more than 21 percent. Thirteen percent said it was a smaller drop of 1 to 5 percent, 10 percent said it was between 16 and 20 percent and 7 percent said sales fell off by about 11 to 15 percent. Red roses remained a popular choice for consumers: 67 percent of rose orders were for red varieties. (And 51 percent of all orders were for roses.) 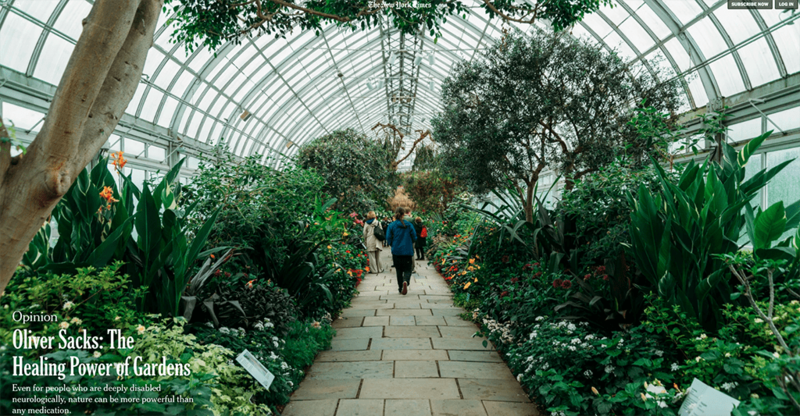 Respondents also noted that about 40 percent of orders were for mixed flowers and 7 percent were for non-rose, single flower type arrangements (for instance, all tulips). Respondents on average charged $85 for a dozen, arranged, long-stemmed roses for the holiday and about $66 for a dozen, unarranged long-stemmed roses. Both numbers are in line with 2016 results, when florists reported charging $83 for arranged versions and $65 for unarranged. 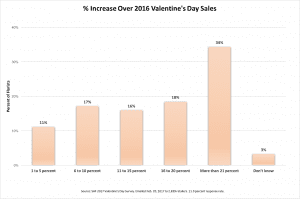 The average overall transaction for Valentine’s Day this year was $78, slightly lower than last year’s $84. About 54 percent of respondents said chocolate or candy were the most popular non-floral gift item; 17 percent said balloons were their non-floral item, followed by greeting cards (14 percent), plush (9 percent), gift baskets (3 percent) and candles (2 percent). Florists reported that the holiday sales make up about 13 percent of their annual sales, a number roughly in keeping with last year’s estimate (12 percent). One complaint about the holiday — customers sure do drag their feet, don’t they? The Tuesday holiday may also have created a small “spillover” effect, with new holiday orders coming in even after Feb. 14 had come and gone. 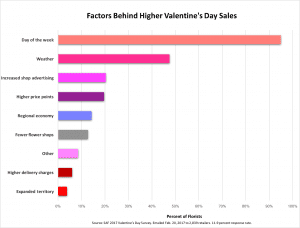 About 53 percent of respondents took up to 10 new Valentine’s Day orders the day after the holiday. Seventeen percent took between 11 and 20 new holiday orders on Feb. 15; 10 percent took 21 to 30. One note to consider: While most florists were bullish on the Tuesday holiday, they also don’t see it as the strongest performer. 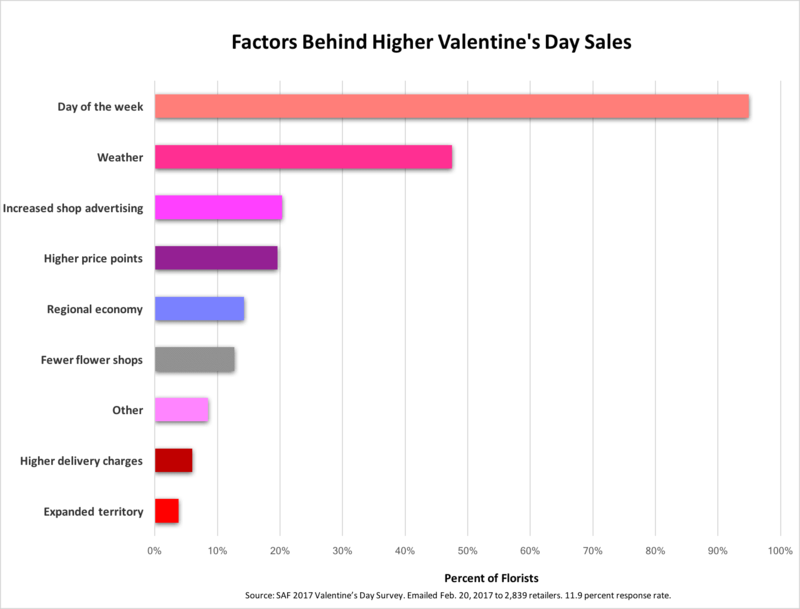 In fact, 44 percent of respondents said Wednesday is the best day for Valentine’s Day — which is the day of the week for Valentine’s Day 2018. 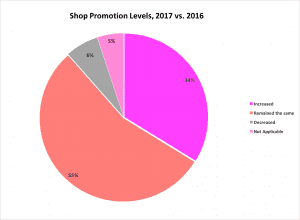 Compared to 2016, 55 percent of respondents said they kept their promotional efforts for Valentine’s Day on par with last year. Thirty-four percent said they increased them and about 6 percent reduced efforts. 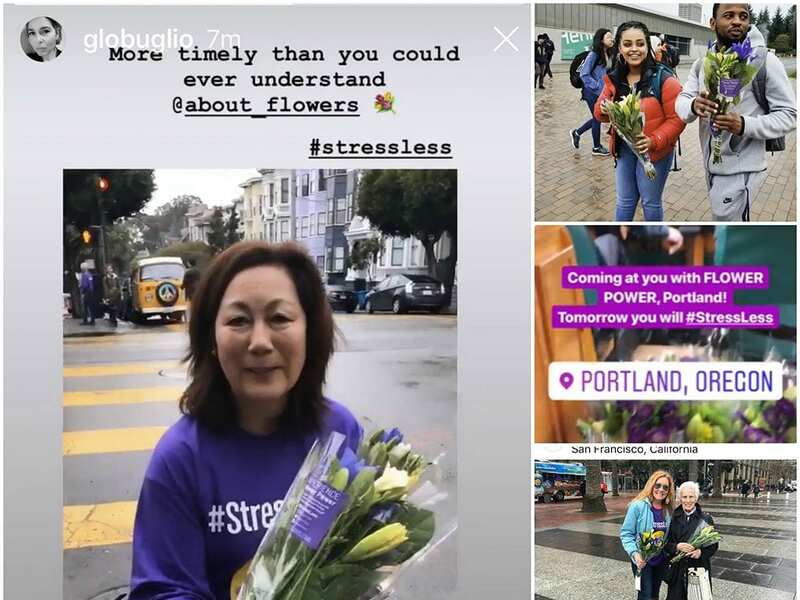 Echoing the sentiment of several write-in responses, a florist in Texas said the shop increased its ad spending on Google this year; a shop in New York posted regularly to Facebook and created short videos for Instagram. Another Texas florist leveraged radio and local partnerships (a jeweler and steakhouse) for a themed contest that asked listeners for their best love stories. In Wisconsin, at least one florist took a proactive approach and called every single customer it could reach. “We take the last two years of orders and direct mail an early order incentive and then we call all customers as a reminder and encourage them to place the order now and we will not charge the card until Valentine’s Day,” the respondent noted. Respondents on average hired eight additional workers for Valentine’s Day, compared to the six workers shops brought in on average last year. 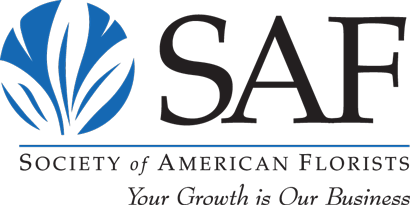 In addition to reaching out to SAF members through its post-holiday survey, SAF also queried national companies, including start-ups featured recently in Floral Management magazine. Highlights from their responses are below. FTD. As a public company, sales results were not available at press time. 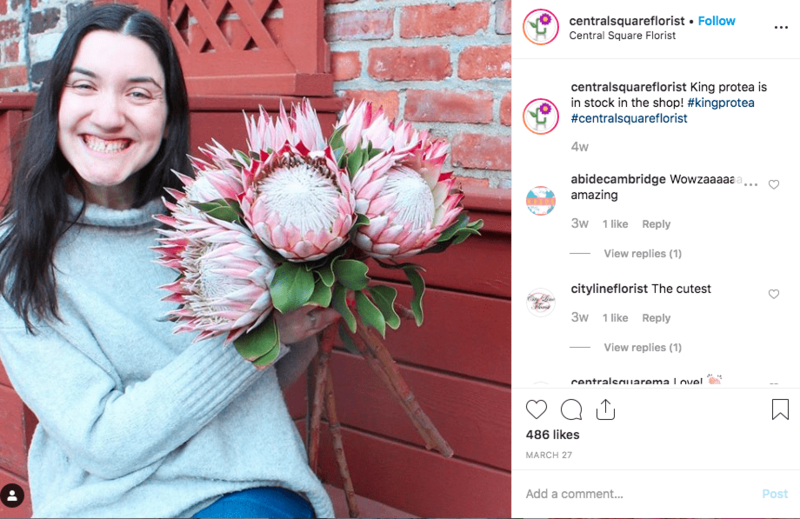 “We have received a lot of positive feedback from florists about a strong holiday overall,” said Emily Bucholz, FTD’s marketing and events director, who said average order values across the network appeared to be “in line” with company expectations. 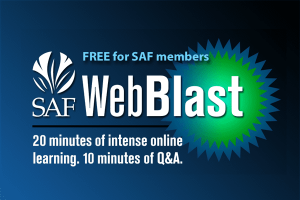 For the first time this year, FTD offered a limited selection to consumers (with the exception of sympathy orders) in the days leading up to the holiday. “An early read shows positive consumer satisfaction, which is the ultimate goal to improve fulfillment by having a smaller selection of arrangements, cultivate a positive consumer experience and increase repeat flower purchases to positively impact the industry,” Bucholz said. At press time, E-Brief editors had reached out to but not heard back from representatives of Farmgirl Flowers.